Taking care of a loved one with Alzheimer’s or dementia is no easy task. Carers often need to absorb a great deal of information, which is not always easy. Learning is often a challenge. In order to remedy the situation, Sinai Health System and Acquian decided to offer training sessions for family carers. Unfortunately, participation suffered due to difficulties regarding travel to and from sessions and schedule management. The training sessions needed to be optimized to become more dynamic, efficient and mobile. Improve skills and resilience with role play. 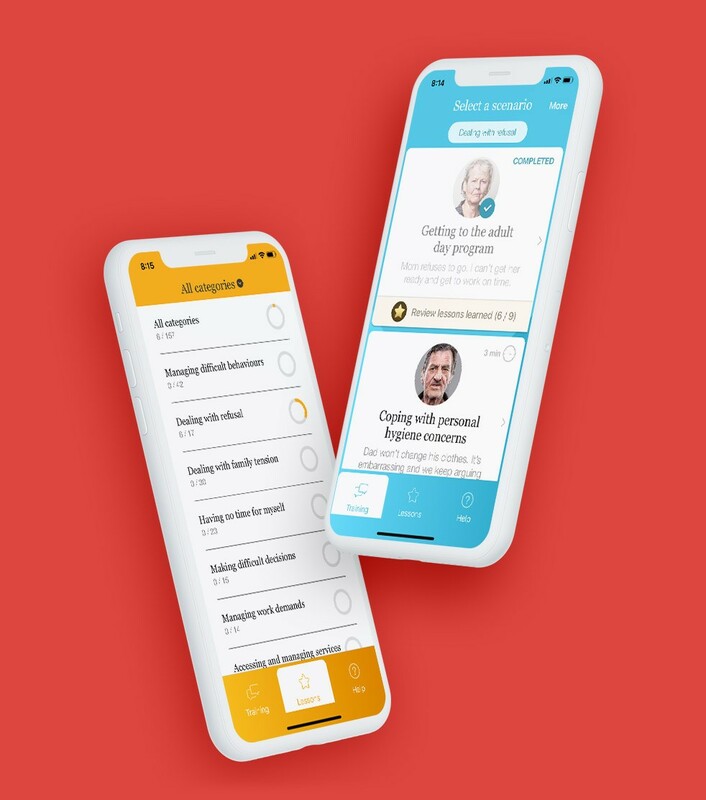 The app offers tutorials in the form of dialogue. The disease appears progressively throughout the exchange in various ways, such as an inappropriate comment in a restaurant or a coarse discussion on body hygiene. Through these exchanges, the user learns how to react by selecting the answer they deem most appropriate. The renowned Dr. Joel Sadavoy intervenes on occasion to highlight the quality of an answer or to explain how it could be improved. 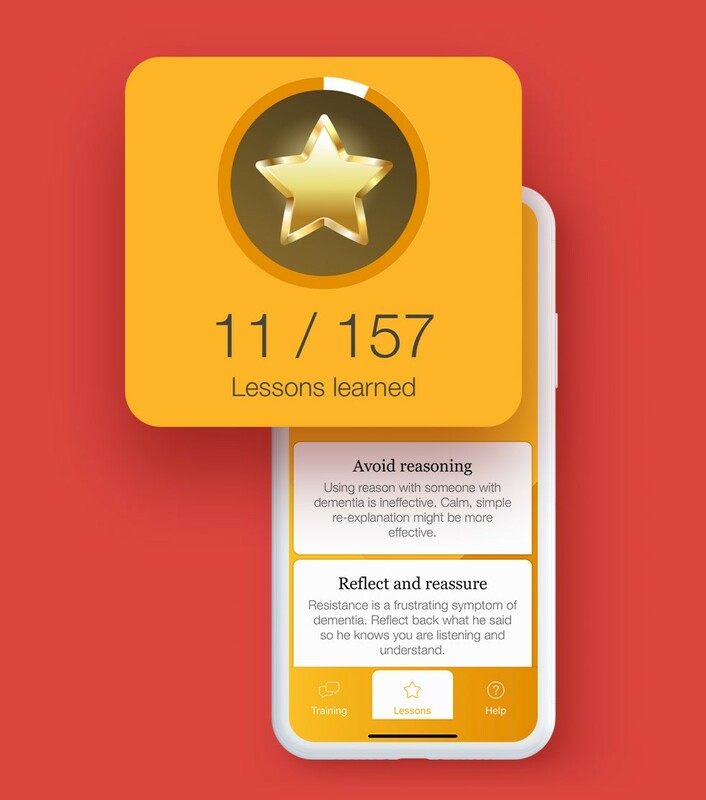 The app offers a lesson collecting mechanism: when a lesson has been learned, the user gets a star and the lesson is automatically added to a short memory aid for easy consultation. 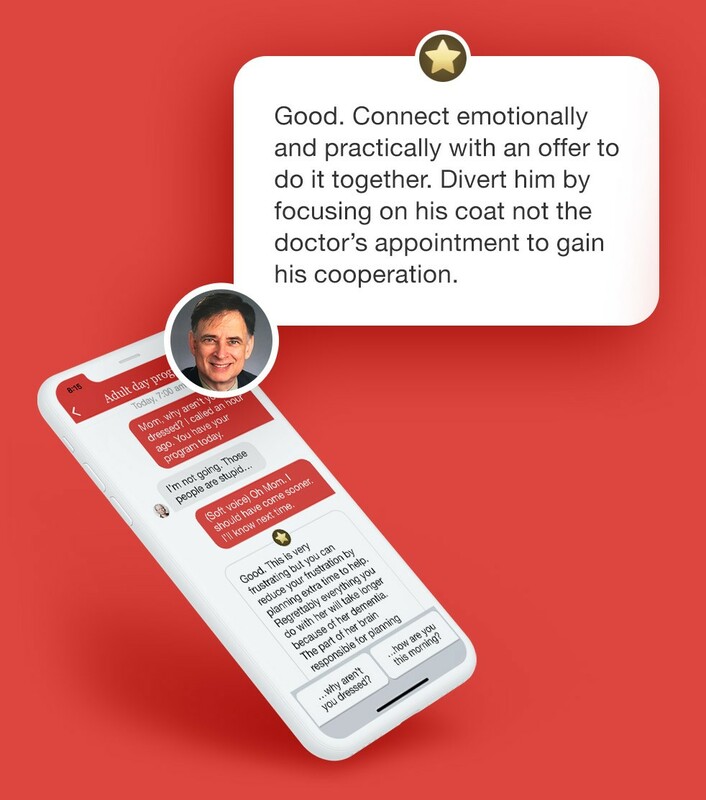 Dementia Advisor offers a treatment program based on ten years of data and makes it available to informal caregivers regardless of their place of residence. It is nice to find information that is really helpful presented in such a clear way. I really like that I can trust the information because it comes from experts in the field. It is so user friendly and all encompassing. I have passed it on to my two nieces as my eldest sister is suffering with dementia. A wonderful resource. Congratulations and thank you.